A judge sentenced former Chicago police officer Jason Van Dyke to nearly seven years in prison in the 2014 shooting death of black teenager Laquan McDonald. 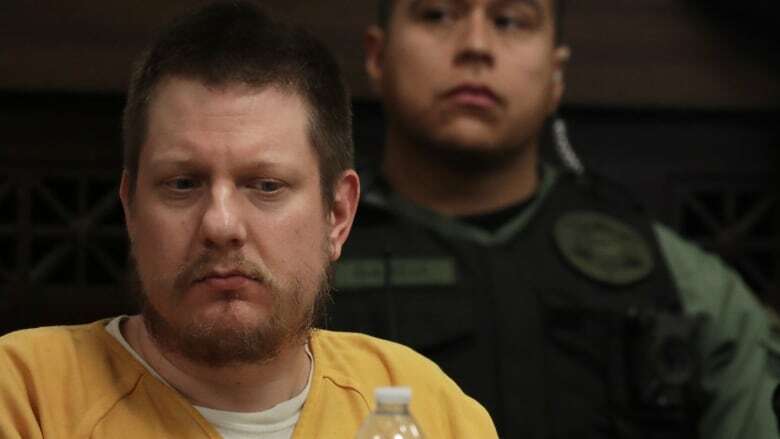 Moments before learning the sentence, the 40-year-old Van Dyke acknowledged the teen's death, telling the judge that "as a God-fearing man and father, I will have to live with this the rest of my life." Gaughan did not characterize Van Dyke's decision to open fire, saying only that it changed both McDonald's and Van Dyke's families forever. "That's shame," he said. "You can see the pain … on both families.… This is not easy." He also said he knew the sentence would not please anyone. "I assume 100 per cent of people will be disappointed." After the judge's announcement, Van Dyke's father said: "They threw him underneath the bridge." Earlier in the day, several black motorists testified that Van Dyke used excessive force during traffic stops in the years before the 2014 shooting. One of those witnesses, Vidale Joy, said Van Dyke used a racial slur after pulling him over in 2005, and at one point put a gun to Joy's head. He said Van Dyke "looked infuriated" and seemed "out of his mind." Under cross-examination, Joy acknowledged that he did not allege Van Dyke used a slur in his first accounts of the stop. Hours later, Van Dyke's relatives tried to defend him, saying he's a good father and husband who goes out of his way to help and who is not racist. In asking for a long sentence, Hunter added: "Why should this person who ended my life forever … who has never asked for forgiveness … be free when I am dead for forever?" She looked up over her shoulder and addressed the judge directly: "His life is over. Please, please. He has paid the price already … I beg for the least amount of time." During her testimony, Van Dyke wiped his nose and eyes with a tissue while seated at the defence table in a yellow jumpsuit. Kaylee Van Dyke, also 17, said the media "twists events, making people create negative thoughts." She said police officers don't care about people's colour, "they care about your safety." She also said she regrets all the times she didn't hug her father.